Is it too hot outside? Take advantage of the cool basement environment and inspect your walls and floors for cracks and leaks. Cracks are a good sign of future issues. If you spot cracks in your foundation, now would be a good time to call in a contractor to inspect your foundation. They can determine just how serious the problem is and provide you with a solution for the long-term. Is your basement waterproof? If not, the dry season is a great time to ensure that the water stays out during the rainy season. Have a licensed contractor check your basement and determine the best waterproofing method to prevent basement flooding. This is a proactive approach to waterproofing. You won’t be under pressure and can therefore search for and compare different contractors to ensure that you get the best offer. Your gutters are your foundation’s first line of defense when faced with heavy rainfall. It is therefore important to ensure that your gutters are free of clutter and debris. Be sure to also check your downspouts. Ensure that they are facing away from the foundation of the home and guide water into a drain several feet away. Is your sump pump working properly? Test the sump pump by pouring water into the sump pit to see if it will turn on automatically and pump water out of the pit. Does it turn off automatically once it’s done? Ensure that a professional runs maintenance checks on your sump pump regularly. Have them replace any parts that are worn out. 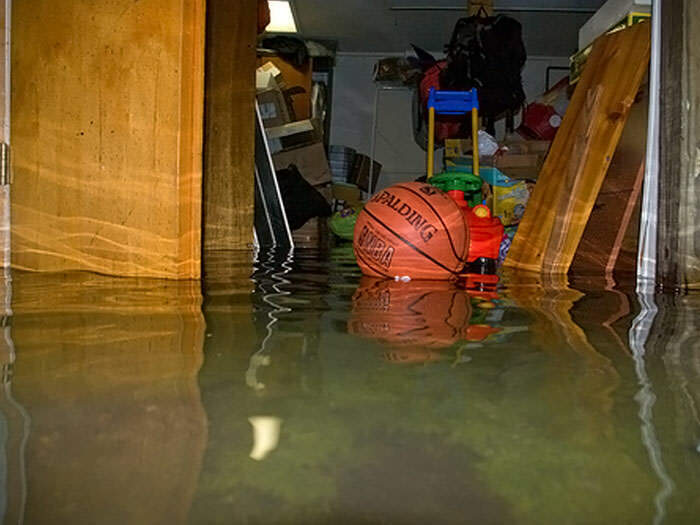 Basement flooding can be devastating. It can be very expensive to have repairs carried out to restore your basement to its former glory. Protect your home and other property by investing in flood insurance. This will ensure that you’re compensated in case of any damage during a flood. You may be lucky and get a lower rate or discount for purchasing this insurance during the ‘off-season’.